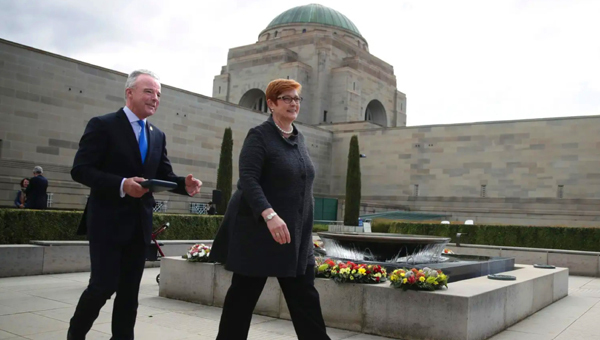 The Australian War Memorial is the big winner in the 2019 budget among Canberra’s national institutions, while other institutions will benefit from modernisation measures. Most national institutions will see no changes to their staff numbers, but the memorial will gain an extra 12 staff in the next year, with the government saying the staff are needed for the start of the controversial redevelopment plan and extra visitor numbers. Old Parliament House will lose two staff members and the National Capital Authority will gain two, a relief after 21 jobs were slashed across the national institutions last year. Digitisation is the main area of investment focus, with the National Library to receive $10 million over the next four years to start a digitisation fund, prioritising adding the papers of Sir John Monash and Sir Robert Menzies, as well as documents published before federation to online database Trove. The fund is expected to be beefed up with philanthropic donations. With the National Portrait Gallery set to close later this month to fix faults in its building, and the National Gallery also soon to undertake repairs, more money has been pledged across the national collecting institutions, with $8 million to be spent this year to ensure the buildings are compliant with building code standards. Included in the funding is the Museum of Australian Democracy at Old Parliament House, the National Film and Sound Archive, the National Library of Australia, the National Museum and the National Portrait Gallery. Questacon and the High Court will both benefit from funding for expanded educational activities, with $15.1 million to be spent over the next three years on expanding Questacon’s education and outreach activities, and $2 million pledged over two years to the second stage of the Australian Constitution Centre at the High Court. Plans to reduce the government’s property footprint will also continue, with the government signalling it intends to continue selling land owned by the Finance Department over the nest two years, although projected revenue has not been revealed. While infrastructure forms a major part of the government’s pitch for re-election, the ACT receives just two pledges in this year’s budget, the previously announced $20 million to duplicate William Slim Drive and $30 million for upgrades to the Kings Highway. No roads in the ACT are included in the $4.5 billion roads of strategic importance program. Canberra also won’t benefit from the fast rail investment, with assessments pledged for routes between Sydney and Wollongong, Newcastle and Parkes, via Orange and Bathurst. The government has also chosen not to match Labor’s $200 million commitment to the second stage of light rail from Civic to Woden. The capital is set to benefit from the government’s health spend-up, with previously announced measures including a new Headspace centre for youth mental health services, a residential eating disorder centre and an expansion of Canberra Hospital’s intensive care unit. On top of the $68 million in health spending already announced, $4 million has been promised to Clare Holland House to increase palliative care in the ACT. Funds have also been pledged to the ACT as part of the national black spot program, and $1.2 million has been allocated to the territory as part of a national bridge renewal plan.